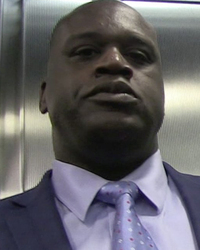 At seven feet one inch tall, Shaquille O’Neal is larger than life. 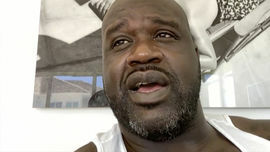 Many know him simply as “Shaq.” The basketball giant was born on March 6, 1972 in Newark, NJ to mother Lucille O’Neal. 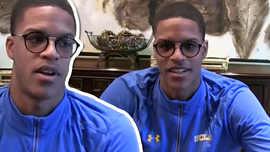 His biological father, Joseph Toney, abandoned him at birth. The two didn’t reunite until 2016. He considers stepfather, Sgt. Phillip Harrison, to be his dad. Harrison died Sept. 10, 2013. The baller takes education seriously. He is the only current or former NBA player to have a bachelors, masters, and doctorate. He played for Louisiana State University before getting drafted by the Orlando Magic as the first overall pick in 1992. He cast his spell on the team and won Rookie of the Year and took the team all the way to the NBA Finals in 1995. Shaq took home three rings as a member of the Los Angeles Lakers in 2000, 2001, and 2002. This hot commodity took his talents down to South Beach to join the Miami Heat in 2004. He added to his collection with one more NBA Championship title in 2006. Before retiring in 2011, Shaq played the final seasons of his pro career in Phoenix beginning in 2007. He also won gold at the 1996 Olympics in Atlanta, GA and was inducted into the Basketball Hall of Fame in 2016. In March 2017, a bronze statue was erected of the former Lakers player outside Staples Center in Los Angeles. The retired superstar purchased a small percentage of the Sacramento Kings in 2013 and invests in tech companies. He is also proud of his involvement with the Boys & Girls Clubs of America as a national spokesperson. 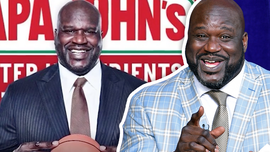 Sheriff Shaq may be in the future. He’s expressed intent to run in 2020, but has not announced what city. He already has some experience with a badge. He was sworn in as an honorary Clayton County sheriff’s deputy in December 2016 and he serves as a reserve officer in Doral, FL, Miami Beach, Tempe, Port of Los Angeles, and Golden Beach. Shaq married Shaunie Nelson on December 26, 2002 at the Beverly Hills Hotel, but the union ended in divorce. The former couple has four children together – Shareef, Amirah, Shaqir, and Me’Arah. He has another daughter, Taahirah, from a previous relationship with ex Arnetta Yardbourgh. He’s been in a longterm relationship with girlfriend Laticia Rolle. 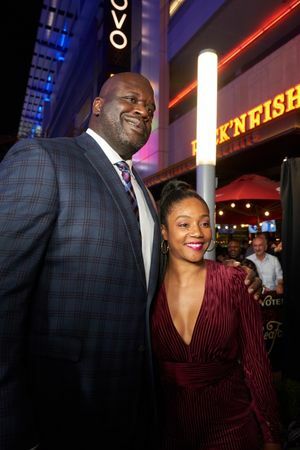 Shaq and fiancé Nicole “Hoopz” Alexander broke off their engagement in August 2012. He also allegedly had an affair with mistress Vanessa Lopez. Dunking at 46 Years Old? ... BOOM!! !